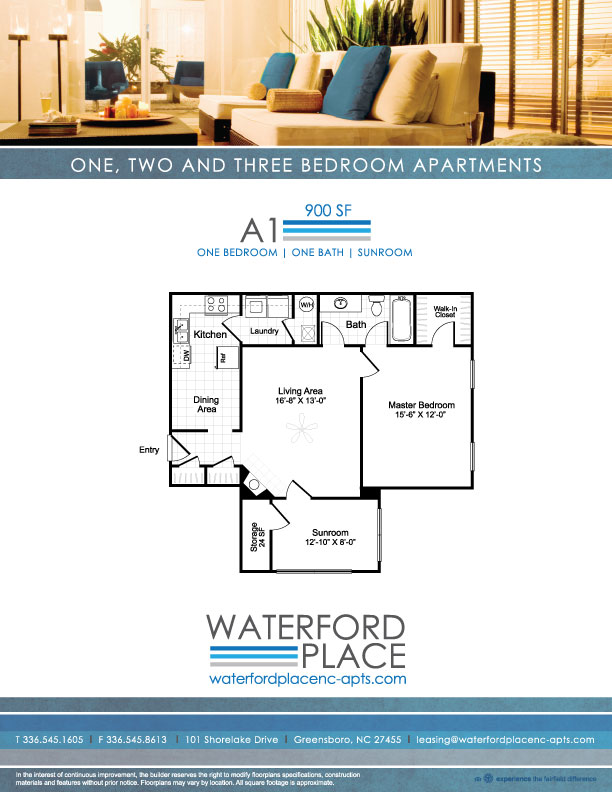 Take in the tranquil setting of Lake Jeanette at Waterford Place, a serene escape that will offer all of the conveniences of home with the indulgences of a relaxing retreat. 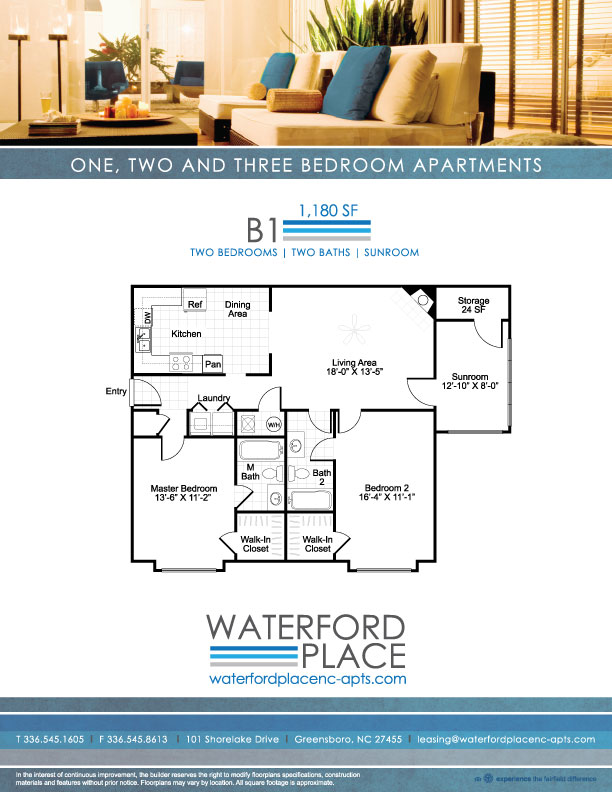 When it comes to indoor comforts, Waterford Place offers no shortage. 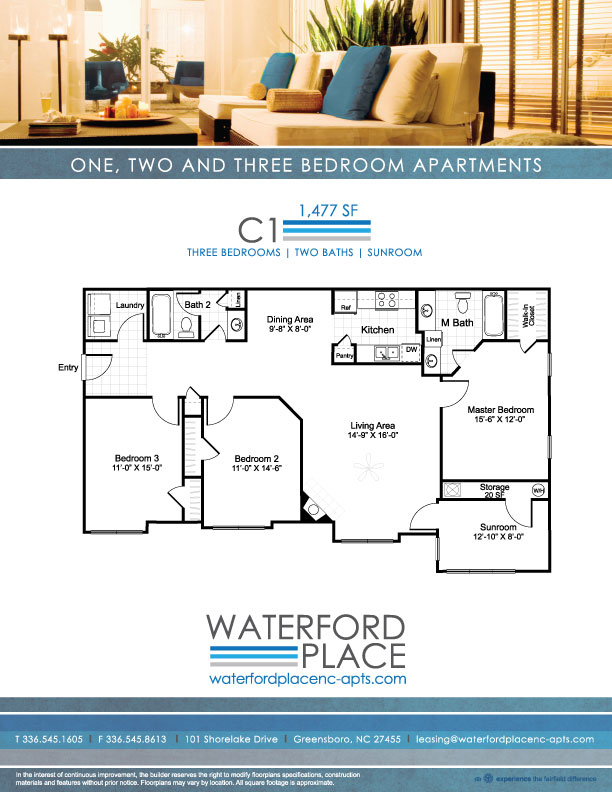 From cathedral ceilings to fully-equipped kitchens, wet bar, and in-home washer and dryer, you’ll have it all. Plus, with easy access to downtown Greensboro, Lake Jeanette and Lake Townsend, you’ll be close to a variety of shopping, dining and recreation.